On Sunday (January 27), Unite is joining the world in observing International Holocaust Memorial Day, when, on the day 74 years ago, the survivors of the most destructive Nazi concentration camp, Auschwitz, were finally liberated. It is estimated that 1.1m people were mercilessly murdered at Auschwitz, many in killing chambers where hundreds at a time were gassed to death. Others died from disease and starvation, after being kept in unspeakable conditions – they hardly slept, hardly ate and were routinely beaten and tortured for the smallest perceived infraction, or often for no reason at all. On Holocaust Memorial Day in 2015, Unite member Hannah Cropper, one degree removed from Auschwitz, told UniteLive about the pain and suffering she witnessed in her parents who survived the Holocaust. “Some survivors talk about it and some don’t – our family never did,” said Hannah, whose father survived Auschwitz and mother survived Bergen Belsen. All of her mother’s five brothers perished, while her father’s youngest brother met the same fate. But the silence in which her family’s history was shrouded didn’t mean that Hannah wasn’t haunted by the worst atrocity in human civilisation. Much the opposite. “It was something that always lingered in the background constantly when I was growing up, years and years after the war was over,” she explained. “The anxiety, the fear, the desperate need for quiet. It didn’t happen all the time, but my mother and father would sometimes go into a trance-like state, as if they were shutting the world out. The memory of the Holocaust has thus been transmitted to Hannah as a ghostly presence, always lurking beneath the surface – an unsettling, unshakeable feeling that breaks through without warning. Still, Hannah believes that the silence of some survivors must be transmuted for others into debate and discussion. “It is absolutely vital that everyone remembers the Holocaust – that we keep on talking about it,” she said. “Yes, my parents were Jewish, but what many people don’t realise is that it wasn’t just Jewish people who were annihilated by the millions. It was also the Roma, people with mental and physical disabilities, LGBT people – anyone who didn’t fit the Nazis’ inhuman version of their ideal. “One thing my father ingrained in me since I was young is that every human has equal worth,” Hannah added. “He always said, ‘It doesn’t matter who you are, where you come from, what you believe, God made everyone the same inside’. Hannah, now a retired local government worker for Manchester council, said she was thrilled when Unite first set up an equalities section, in which she took an active role since its inception. But no matter how far we’ve come in respecting the equal worth of all humanity, Hannah believes we still haven’t completely learned the lessons of the past. Hannah says she worries about far right parties such as Ukip, who play on people’s fears – a political tactic that enabled the Nazi party to win so much support. Unite is now actively fighting against these movements that Hannah, as a person so closely connected to the Holocaust, fears. The union is now delivering training to officers, reps and members to counter the arguments of the far right and to engage with people in communities whose concerns may lead them to groups like the Democratic Football Lads Alliance (DFLA), whose leadership has fanned the flames of racism and xenophobia on football terraces in recent months. Unite assistant general secretary Steve Turner argues while we observe Holocaust Memorial Day, we must do so much more, everyday, in the fight against hatred and intolerance. “It is our duty as trade unionists to stand up against the the rise in racist, even fascist attitudes, hate speech and violence in our communities that’s laid the foundations for previous genocides, including the Holocaust,” he said. “If we really are to honestly say ‘never again’ when we remember those who perished in the Holocaust and other atrocities, we must remain forever vigilant, guarding against racist, fascist and xenophobic attitudes wherever they may appear – in our workplaces or communities, on our football terraces or high streets. 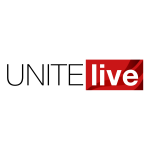 “That’s why Unite has partnered with organisations such as Show Racism the Red Card and Kick it Out, that tackle racist attitudes in schools and workplaces; we’ve also developed our own training, giving our representatives and activists the confidence and skills, as well as facts and evidence, in a toolbox of material aimed at engaging and taking on the hateful, divisive narrative of the far right in our workplaces and elsewhere,” Turner added. Unite in Aberdeen is taking a leading role on Holocaust Memorial Day as Unite members take part in local Holocaust Memorial Day events. A film, ‘1945’, will be shown at the Belmont Film House for free thanks to funding from the Unite Aberdeen City Council branch. Unite regional officer Tommy Campbell will also be reading a poem by the late trade union and anti-fascist activist Hilda Meers. Ahead of Holocaust Memorial Day, Campbell, like Steve Turner, highlighted the importance of fighting against the far right. Also commenting today (January 25), Unite national officer for equalities Harish Patel said that Holocaust Memorial Day “is an important date in our annual calendar, to remind us all, of the millions killed and persecuted during Hitler’s rein. Find out more about Holocaust Memorial Day on the Holocaust Memorial Day Trust website.